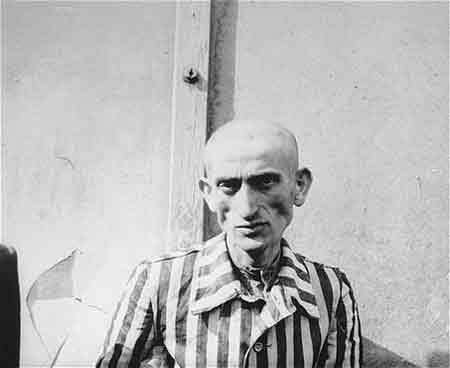 Emaciated survivor at Nordhausen concentration camp. 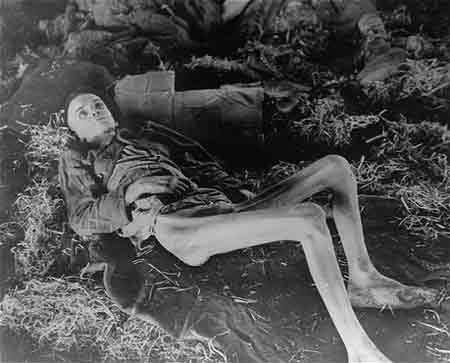 Died shortly after photo taken. 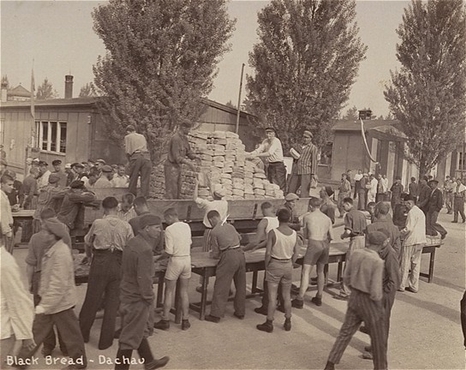 Two survivors prepare food in Dachau. 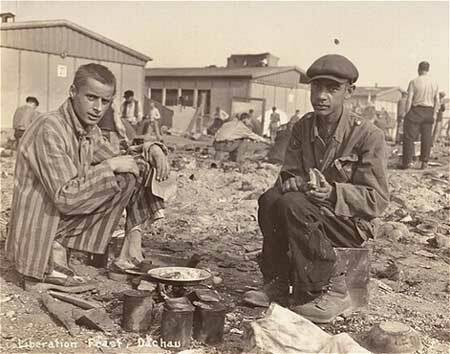 Mn on right is likely Jean (Johnny) Voste, the only black prisoner at Dachau. 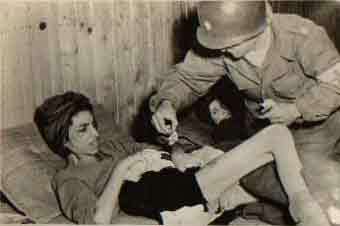 Starved Hungarian woman receives treatment after liberation of Mauthausen. 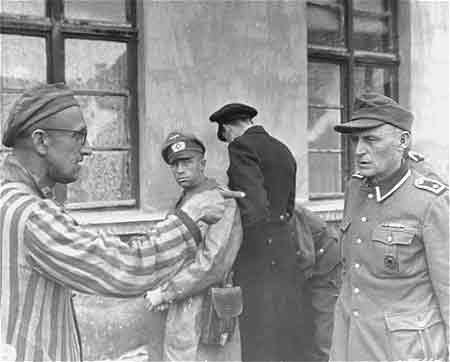 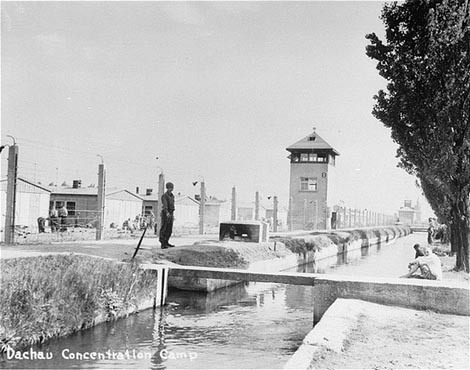 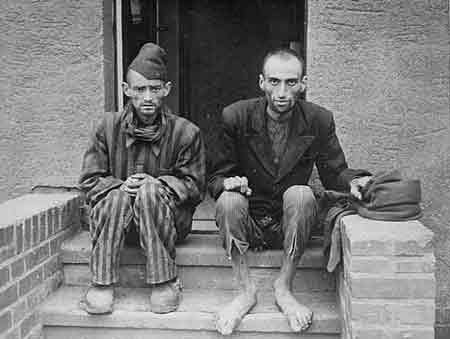 Buchenwald survivor identifies a former camp guard who brutally beat prisoners. 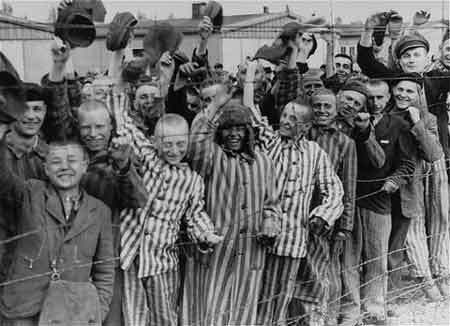 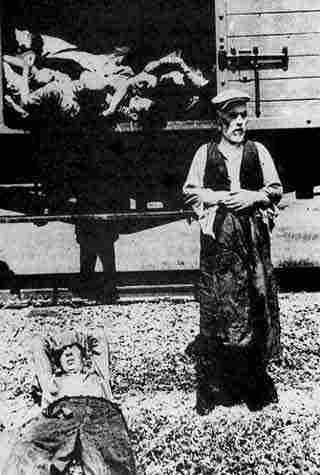 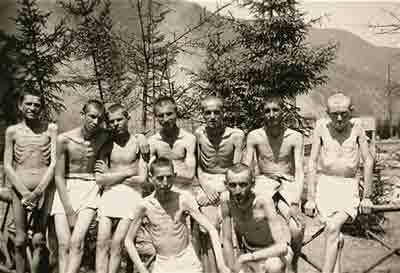 Survivors of the Berga concentration camp after liberation. 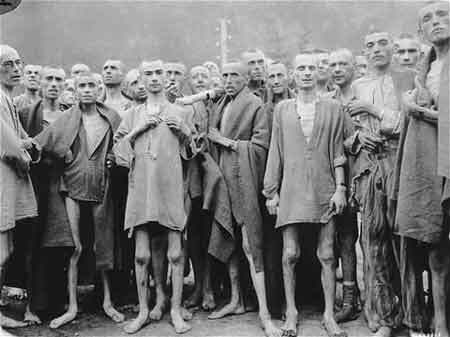 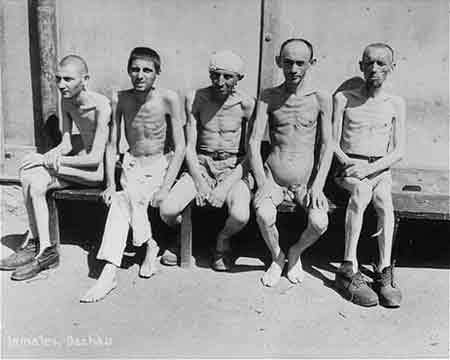 Emaciated survivors gathered outside the infirmary at Ebensee. 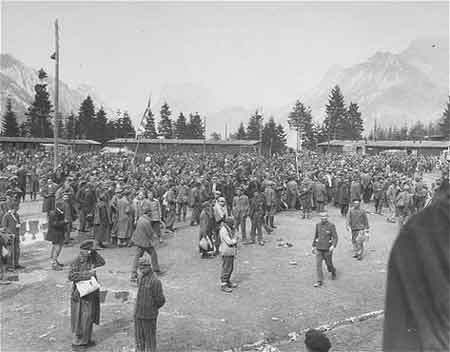 Survivors congregate in the former roll call area of the Ebensee concentration camp. 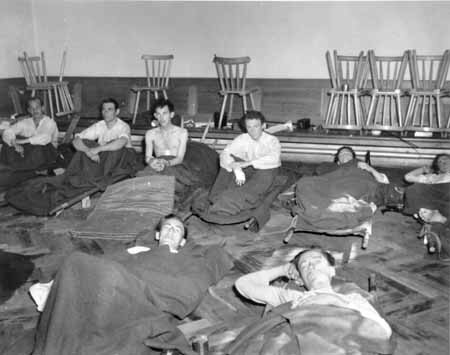 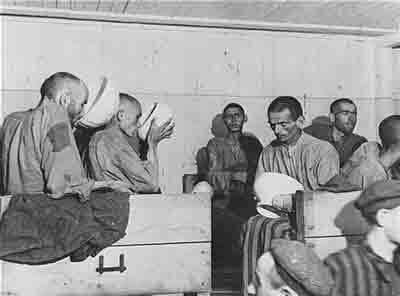 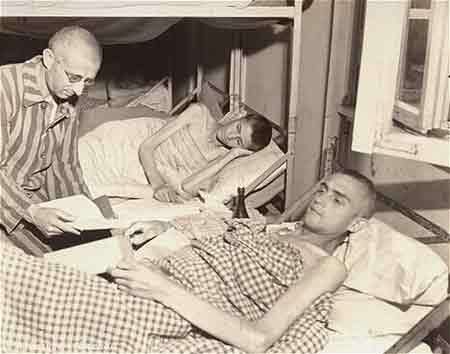 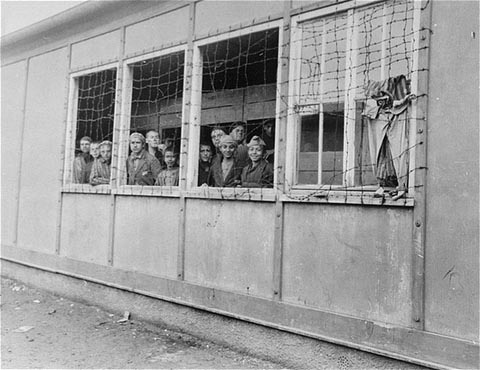 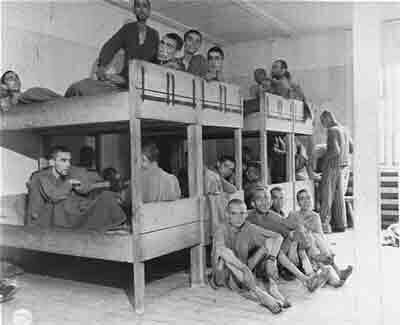 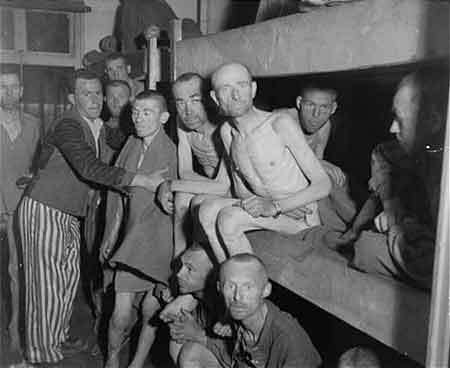 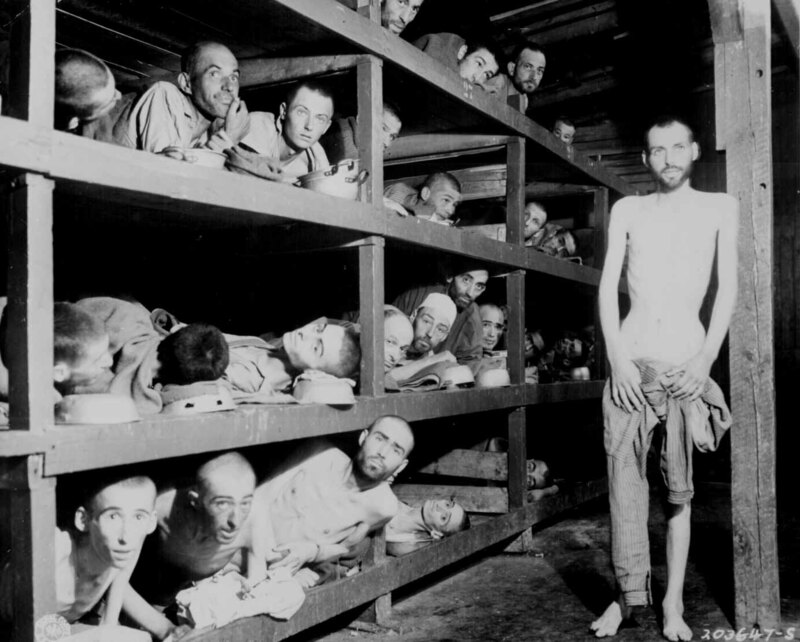 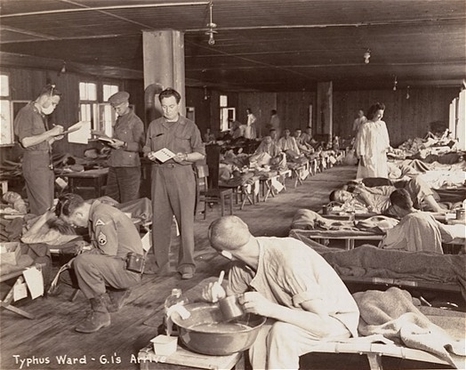 Emaciated survivors sit in the infirmary barracks in the Ebensee concentration camp. 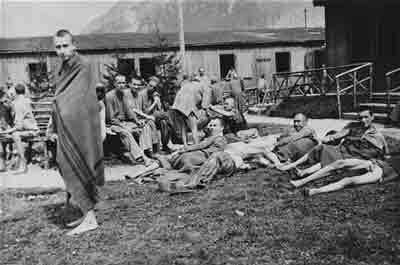 Survivors in Ebensee wrap themselves in blankets. 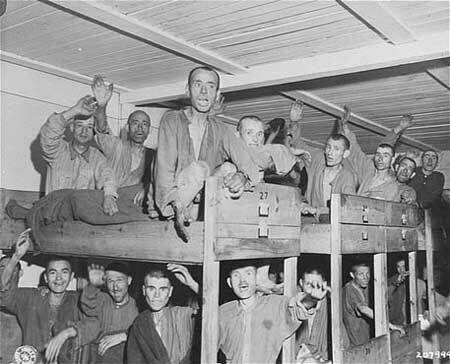 Survivors wave to American troops from the infirmary for Jewish prisoners in the Ebensee camp.